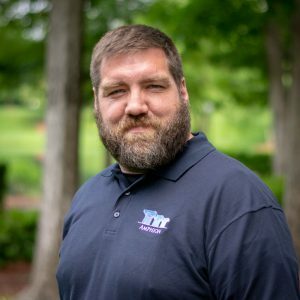 Mr. William Adam Sealy is certified as an ASNT Level II Technician in magnetic particle testing (MT), liquid penetrant testing (PT), and ultrasonic testing (UT) methods. Mr. Sealy has been a nondestructive testing (NDT) technician with Amphion Analytical Engineering, P.A. since 2016. He has gained NDT experience in the nuclear power plant and tire manufacturing industries since 2012. Mr. Sealy is certified in accordance with AMPHION’s Personnel Qualification Procedure, which meets or exceeds American Society for Nondestructive Testing (ASNT) SNT-TC-1A, “Personnel Qualification and Certification in Nondestructive Testing” requirements. The written procedure utilized was AMPHION’s Standard Operating Procedure (SOP), which is in accordance with American Society of Mechanical Engineers (ASME), “Boiler and Pressure Vessel Code, Section V, Nondestructive Examination” requirements.